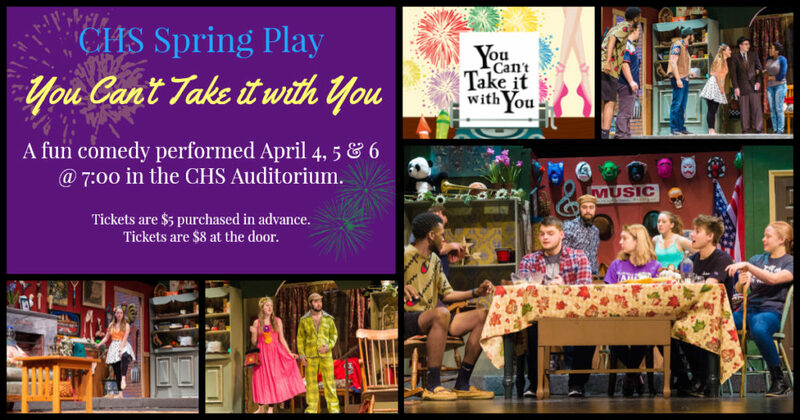 You Can’t Take it with You – a fun comedy – will be performed Thursday, Friday and Saturday, April 4-6, 2019 at Collinsville High School. The show starts at 7:00 pm in the CHS Auditorium. Advance tickets are $5 and may be purchased at CHS or by emailing Susan Ledford at sledford@cusd.kahoks.org before Thursday, April 4. Tickets at the door are $8.